If you do not know me, the one thing you must know is that I love to read. Oh I was never like this when I was younger. Reading for me was a chore, something to be avoided. I did not appreciate how wonderful reading can be until I read a fantastic book call The Hunt for Red October by Tom Clancy. Well you see, I was never much of a reader in high school, mostly because I did not like the novels I had to read. Surprisingly I liked reading Shakespeare, but the novels they had us read were boring. I don’t even remember the books and to this day I wonder what the teachers were smoking when they came up with their list of books. A book has to capture my interest right away or else it’s trash. Amazingly I read Lord of the Rings and that started off at a snail’s pace. Anyways, I was out of high school in my twenties, taking my ECE courses when this movie came out. I heard that this is an adaptation of a book so I read the book before I went to see the movie. Well right away I was hooked and I finished the book in a matter of days. For me at the time that was a miracle. I then went to see the movie and I liked it, but of course I did like the book better, but it started something inside of me. I so loved the book I looked for other books by Tom Clancy. I began reading in earnest in-between my courses and work. I fell in love with the characters and style of the books. 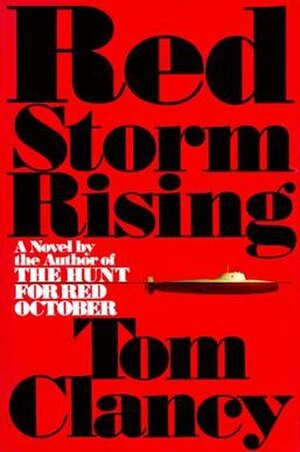 One particular book, Red Storm Rising I have read countless times. 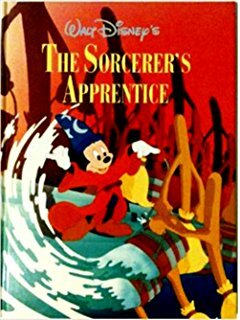 Every two years of so I pick it up again and re-read it. It’s about a fictional war between the NATO Forces and the Warsaw Pack or USSR. I read it during Desert Storm and the tactics used in that conflict was in the book but it was written 4 – 5 years before the conflict. If you think that is weird, I know many women who have read Pride and Prejudice at least as frequently as I have read Red Storm Rising. I guess this book is a guys’ Pride and Prejudice. Tom Clancy’s books so affected my life that I could not stop reading. I read everything I could, including Pride and Prejudice. To this day I am reading more and more and it inspires me to create, both writing and drawing. Tom Clancy opened my eyes to a world of imagination in reading. Not only fiction but I also read his non-fiction and his studies in command books. I did not limit my reading to his work, but other area such as historical topics and countless other topics that peaked my interest. On October 1, 2013 Tom Clancy died in Baltimore and I had to stop and say a prayer for him and his family. There are people who touch our lives without even being a part of it. I began a love affair with reading and books because of his novels and for this I am eternally grateful. Rest in Peace Tom and Thank You.